Are you looking to spruce up your driving experience? Do you need a little bit of flair in your life? Now’s the time to treat yourself to the thrilling performance of car that’s truly designed around the driver. That car is the 2015 Alfa Romeo 4C Coupe. Now at Alfa Romeo of Tacoma, we’re featuring this beautiful, race-inspired coupe in our full new model inventory. Keep reading to learn more about the incredible 2015 Alfa Romeo 4C Coupe; then, head to Alfa Romeo of Tacoma for a phenomenal driving experience. The design of the all-new 2015 Alfa Romeo 4C Coupe is where dreams begin. Taking cues from the legendarily beautiful 1967 33 Stradale, the all-new 2015 Alfa Romeo features optimized dimensions and aerodynamics, efficient lines, and performance prioritized proportions. With distinctive colors, unique wheels, dual exhaust, bi-xenon headlights, and other details geared towards impressive, the 2015 Alfa Romeo 4C Coupe is built to stand out. To maintain a dramatically light weight, the 2015 Alfa Romeo 4C Coupe features a Carbon Fiber monocoque chassis, front and rear aluminum subframes, and Sheet Molded Compound that keeps the outer body light and stable. On the inside, the Alfa Romeo 4C is designed to put everything you need within reach so you can focus on the road. Complementing its impressive performance, the 2015 Alfa Romeo 4C Coupe is well-appointed with cutting-edge tech and safety equipment. You’ll love having the convenience of features like LED tail lights, Bluetooth connectivity for phone and audio with a four-speaker sound system, and keyless entry. You’ll be safe no matter where the road leads with equipment that includes multimode traction and stability control, antilock disc brakes, hill-start assist, and multiple airbags. Featuring the body materials of a Formula 1 car and the power to get moving like one, the all-new 2015 Alfa Romeo 4C makes driving a blast. 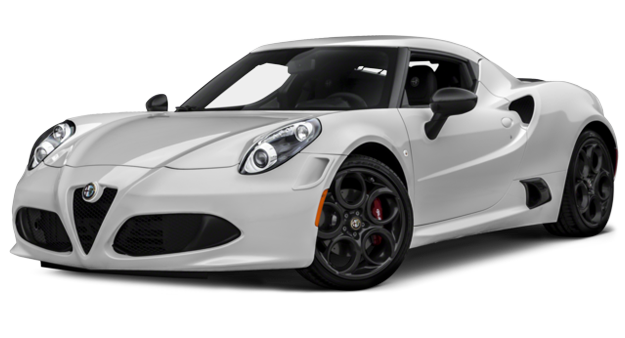 To deliver supercar performance, the 2015 Alfa Romeo features a 236-horsepower turbocharged inline-4 cylinder engine and a cutting-edge Twin Clutch Transmission with Launch Control under the hood. The Alfa Romeo 4C Coupe features four-mode DNA, which caters on the road behavior to your needs–you’ll have All-Weather, Natural, Dynamic, and Race modes to choose from for any situation. If you’re looking for a vehicle that goes far beyond the extra mile, it’s time to choose Italian-made and handcrafted. 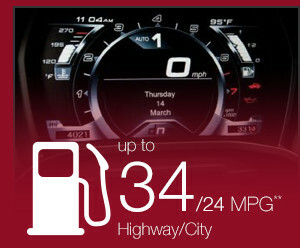 Right now, you’ll find European flair for a great value here at Alfa Romeo of Tacoma. Our import experts are standing by to help you find the perfect vehicle in our new Alfa Romeo selection or our pre-owned vehicles. We also specialize in import vehicle maintenance and are happy to offer special deals on vehicle service and savings on Alfa Romeo parts. For even more information, give us a call at (253) 830-5700 or come see us at 3740 S Tacoma Way, Tacoma, WA 98409, where our service is worth the trip from Kirkland or Federal Way, WA.